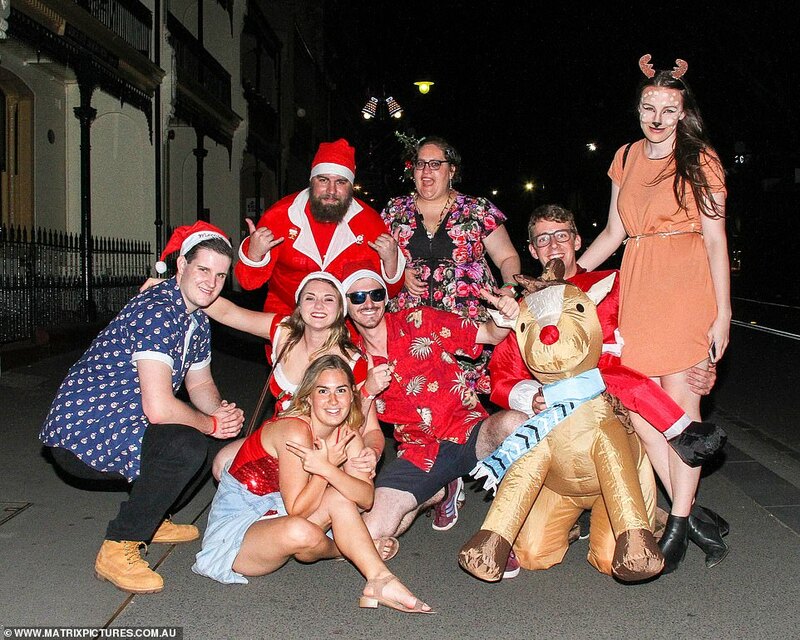 Office workers were eagerly counting down the minutes before clocking out on Friday as work parties kicked off the Christmas season. 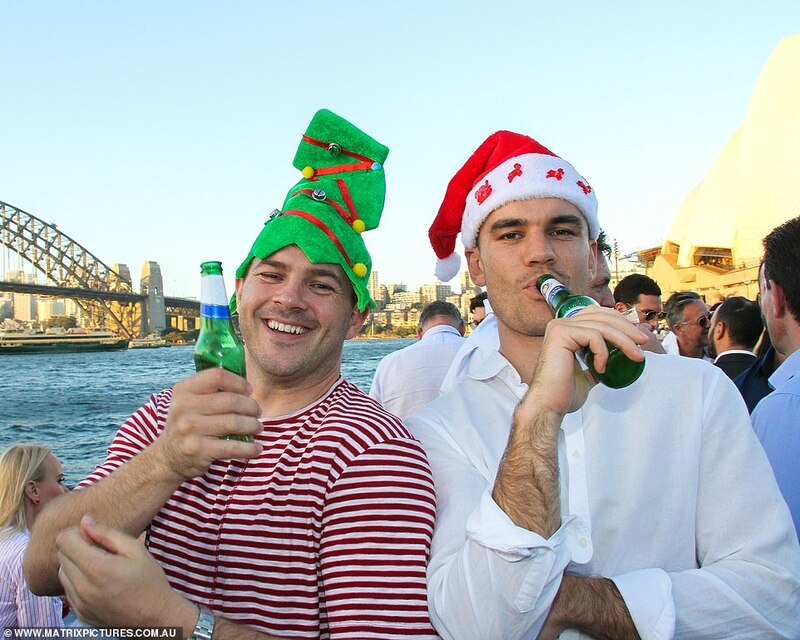 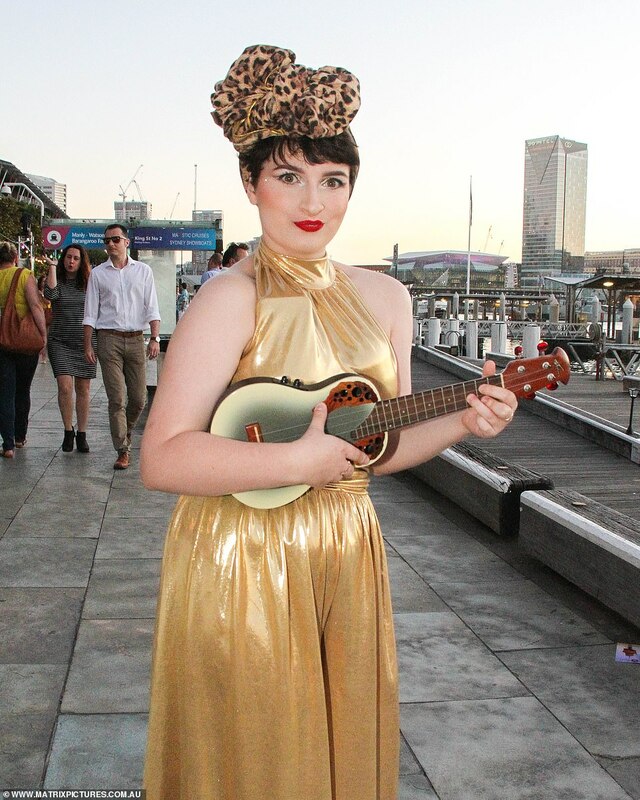 In Sydney, hordes of men and women ditched their corporate dresses and suits for more festive attire – dressing up in everything from leprechauns and KISS rock stars to Robin and David Hasselhoff. 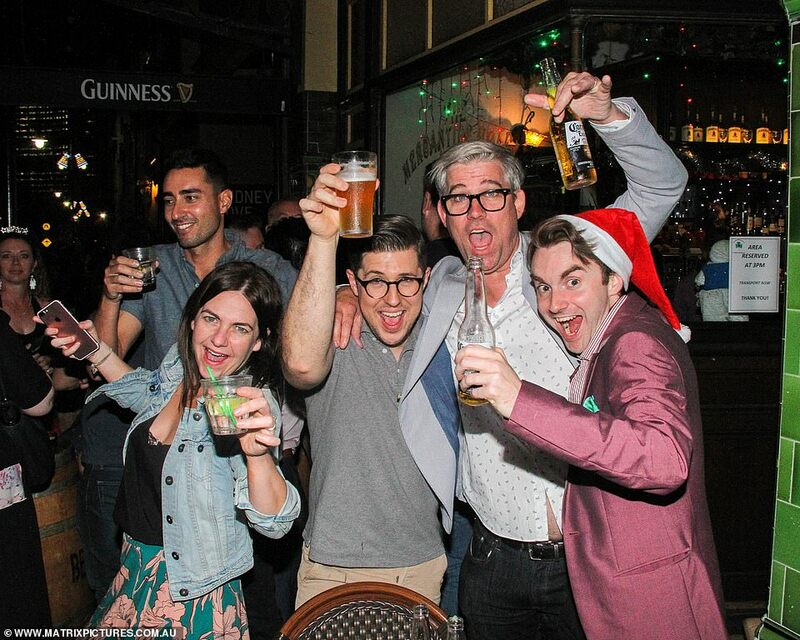 Some workers embraced the Christmas cheer donning Santa hats, antlers, quirky chimney headgear – and even giant inflatable reindeers while enjoying celebratory bubbles. 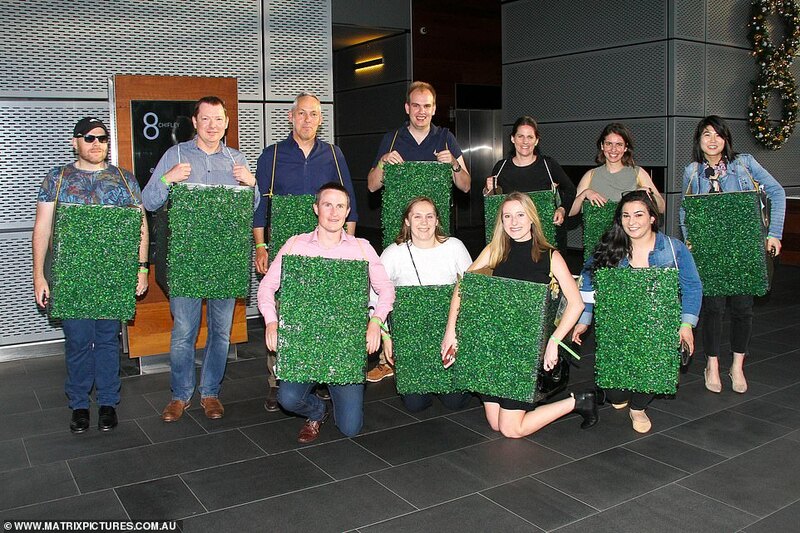 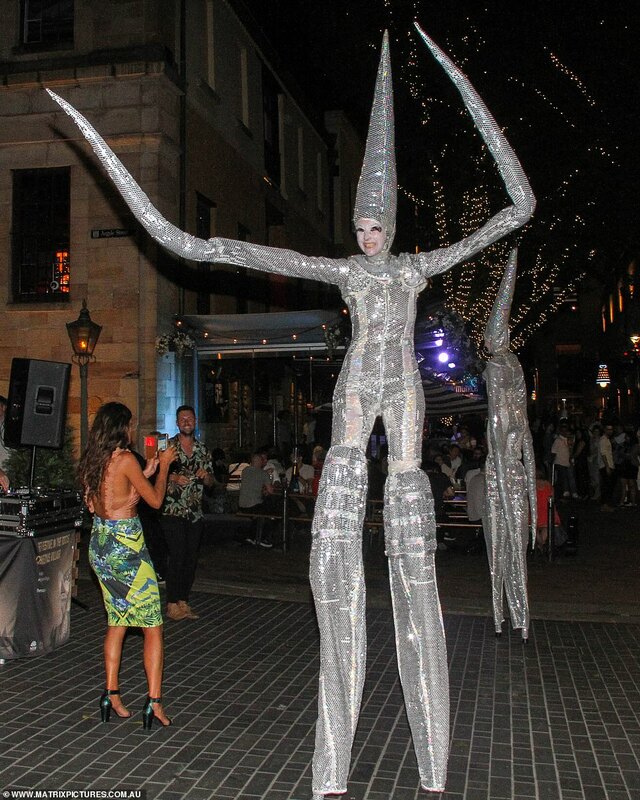 Another office party saw workers wear matching quirky cardboard boxes embellished with green PVC needles – looking out of place in the middle of Sydney’s Chifley Square. 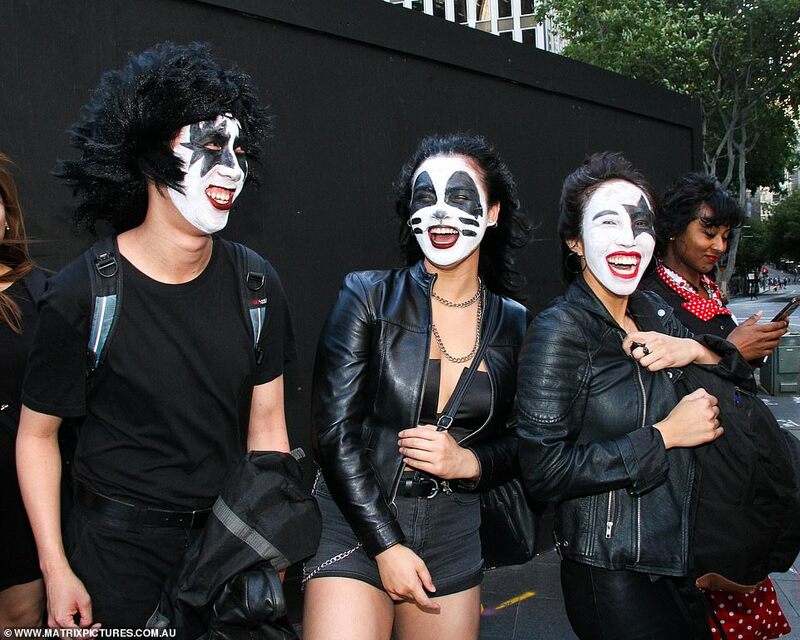 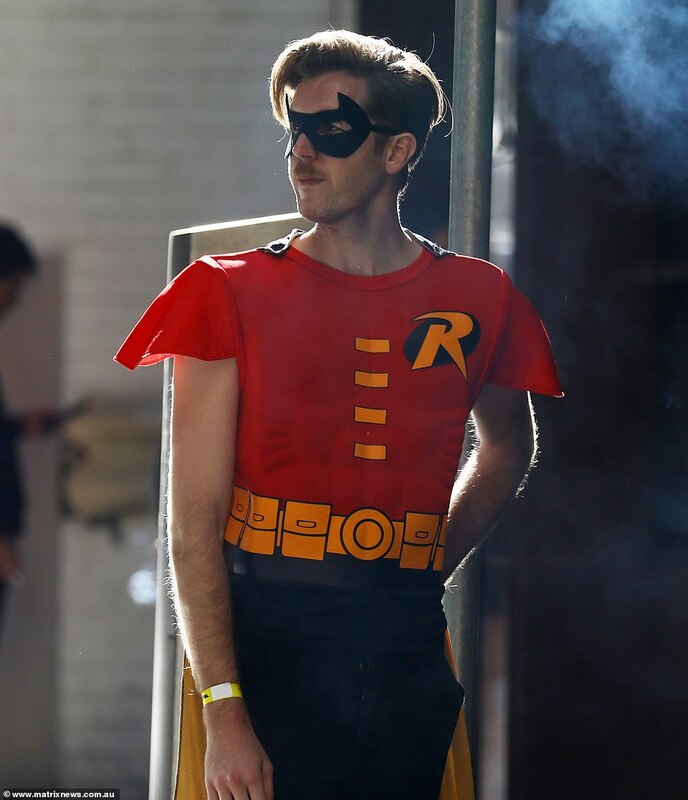 Three colleagues opted for a more ‘Rock n Roll’ look for the evening – dressing up as KISS rock stars in black leather jackets and completing their look with the iconic face paint. 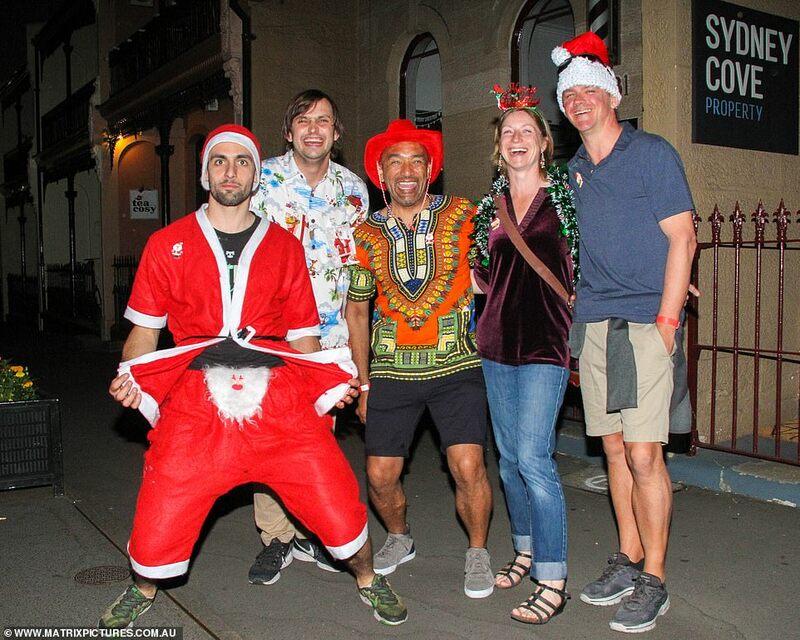 Yet as the night wore on, the open bar celebrations appeared to take a toll on revellers – some left their Christmas parties struggling to walk in their heels and were seen leaning on their partners to keep them steady. 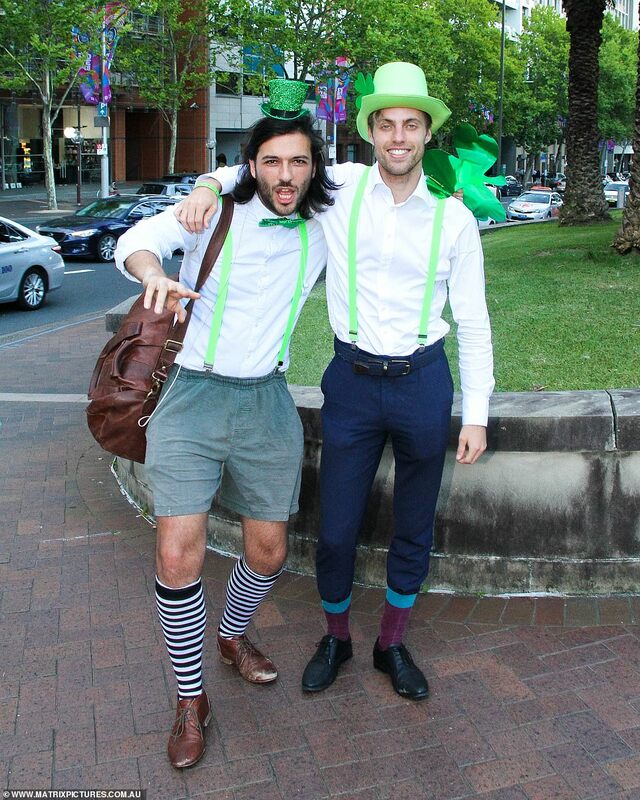 Two men left their suits in the office and instead donned fluoro green braces, festive leprechaun hats and shamrocks keeping to the Christmas spirit. 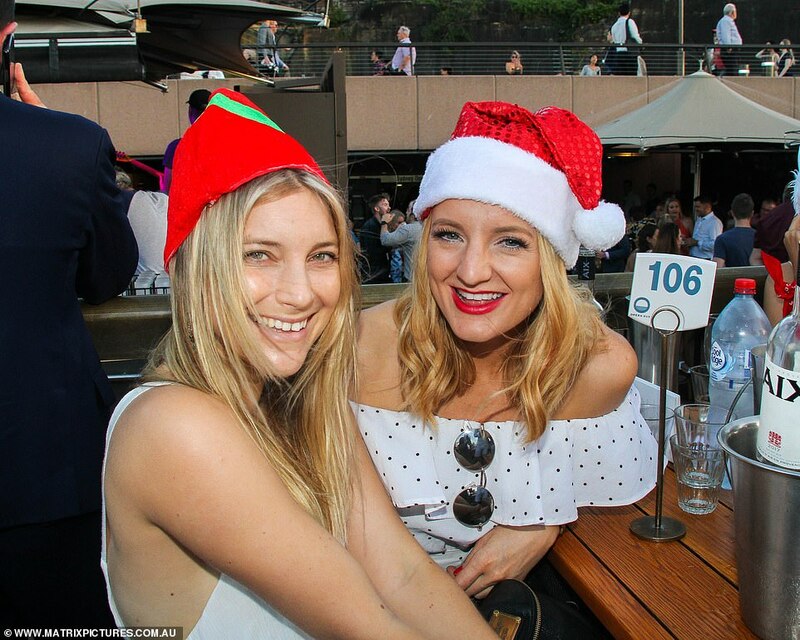 While two women ditched their pencil skirts for tutus and red and white striped shirts with matching Santa hats.